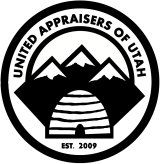 With the company’s over 20 years of combined experience, Aspen Appraisal Group’s team of highly qualified Utah appraisers focuses on helping people who need a property or land appraisal for estate purposes, divorce, bail bonds, bankruptcy, FSBOs, and more. Rush Services for Utah Real Estate: Get Your Property Valuation Report within Days! RUSH and SUPER RUSH service is available for most of our appraisals; in many cases, clients can receive their property valuation report, land or house appraisal within 24 to 48 hours. Please understand that not all properties are eligible for this service, and our existing commitments may limit our ability to provide the rush service. Clients must disclose any unusual circumstances when ordering a rush service on a house appraisal or appraisal, such as damage, differing actual living area compared to public records, views, etc. Aspen Appraisal Group’s RUSH service guarantees that the property valuation report is electronically delivered within 48 hours of the appraisal being ordered (including holidays and weekends) and typically adds a 25% charge to our normal appraisal fee. Our SUPER-RUSH service guarantees that the property valuation report is electronically delivered within 24 hours of the appraisal being ordered (including holidays and weekends) and typically adds a 50% charge to our normal appraisal fee. Call today with any questions you might have or schedule an appointment. You can also receive a free quote for your property valuation report by clicking here. If you aren’t sold yet, see what others are saying about Aspen Appraisal Group by clicking here.